1. 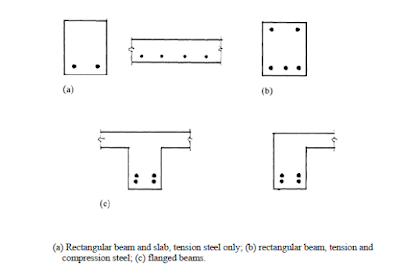 Rectangular section with tension steel only (this generally occurs as a beam section in a slab). 2. Rectangular section with tension and compression steel. 3. 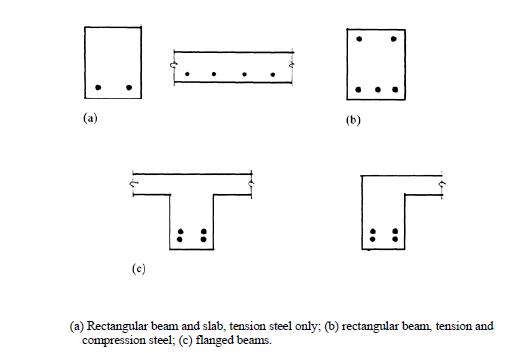 Flanged sections of either T or L shape with tension steel and with or without compression steel.